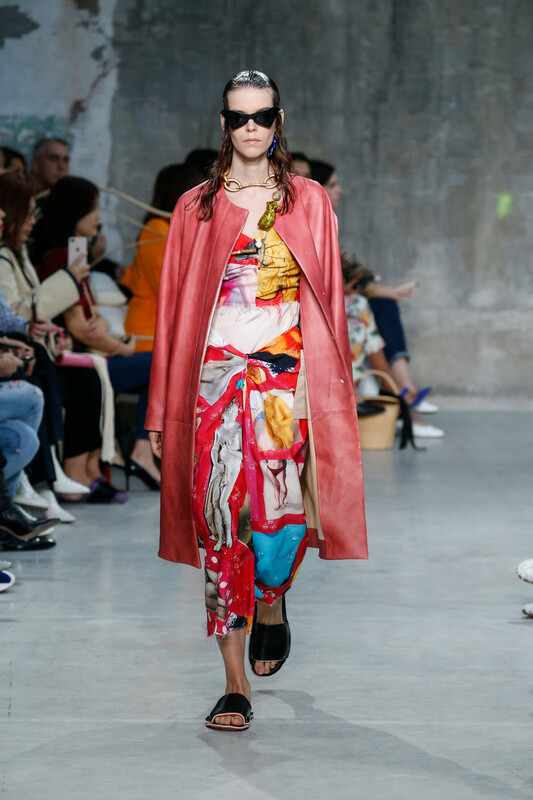 Francesco Risso thought of this collection as a painter’s canvas. 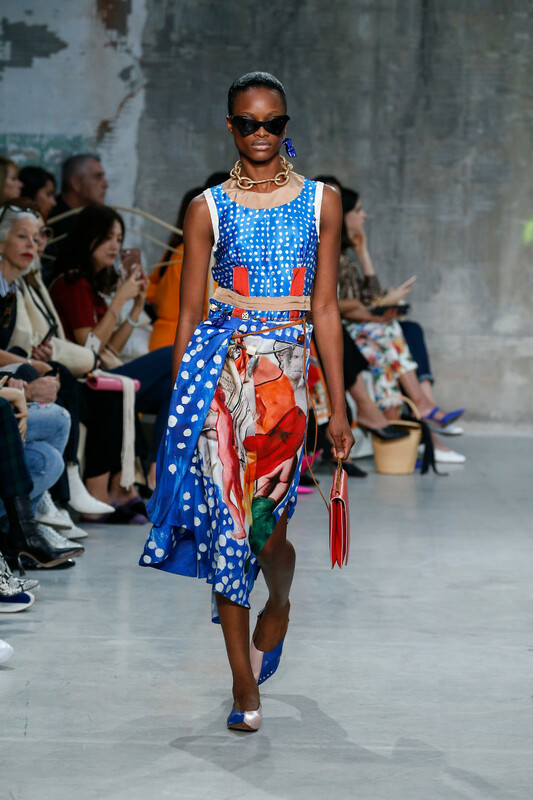 A canvas he painted with vivid prints and experimental fits. 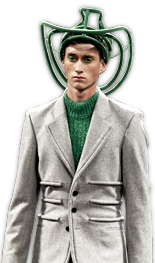 Models appeared a bit absent, with their futuristic glasses on their heads, simplistic slippers on their feet. 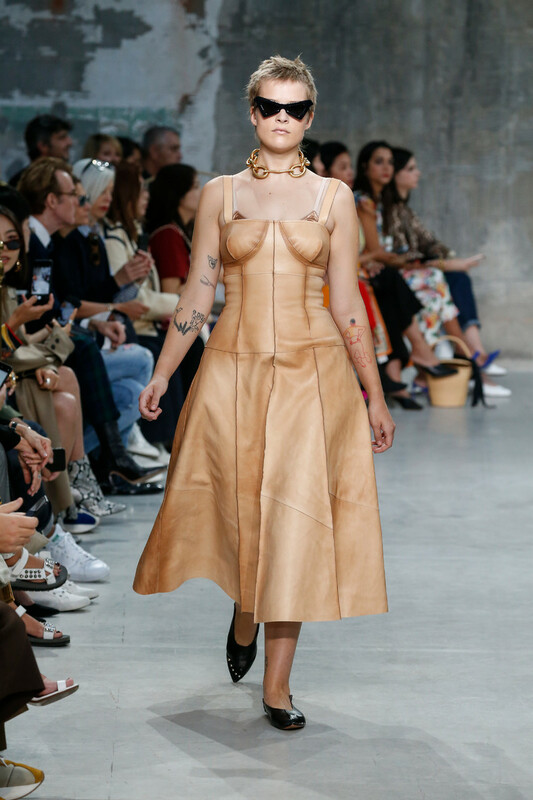 They sported loose fitting tea dresses and sturdy coats, side draped skirts, cropped tops, bra lets and deconstructed leather corsets. 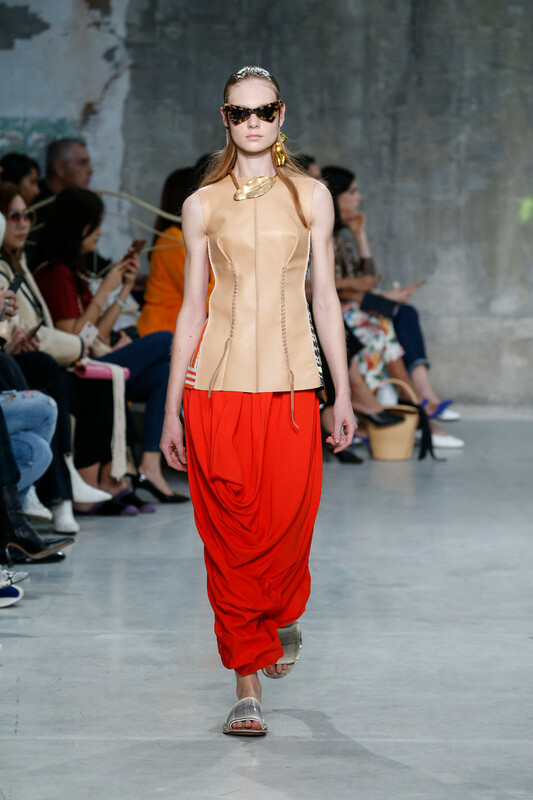 A leading role of course for boxy bags and arty, chunky and gold colored jewelry. 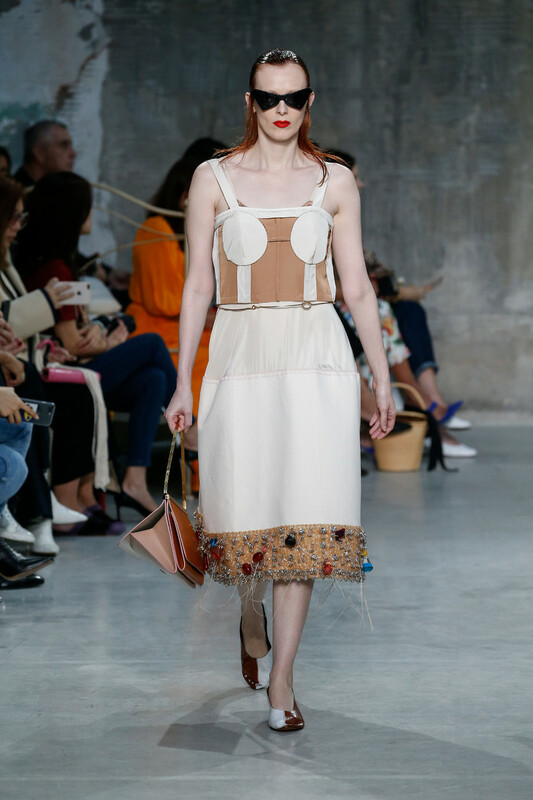 Some say it was too much of an Prada (Risso’s former job) inspired collection. 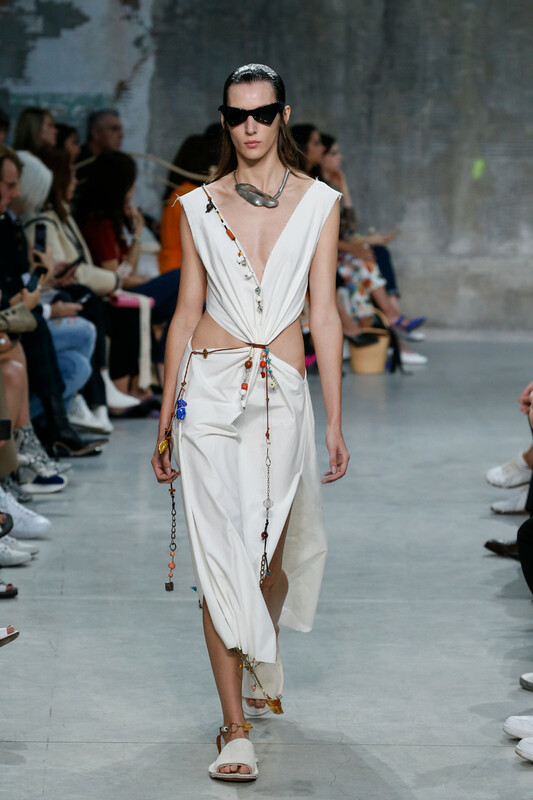 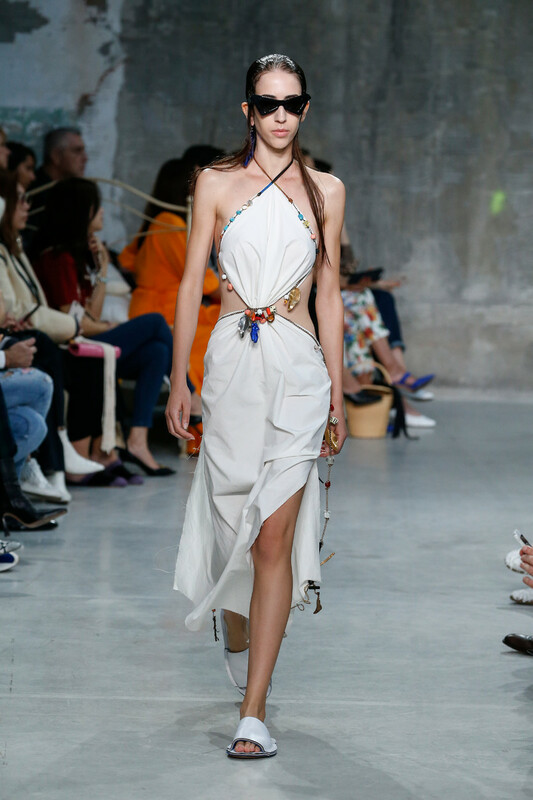 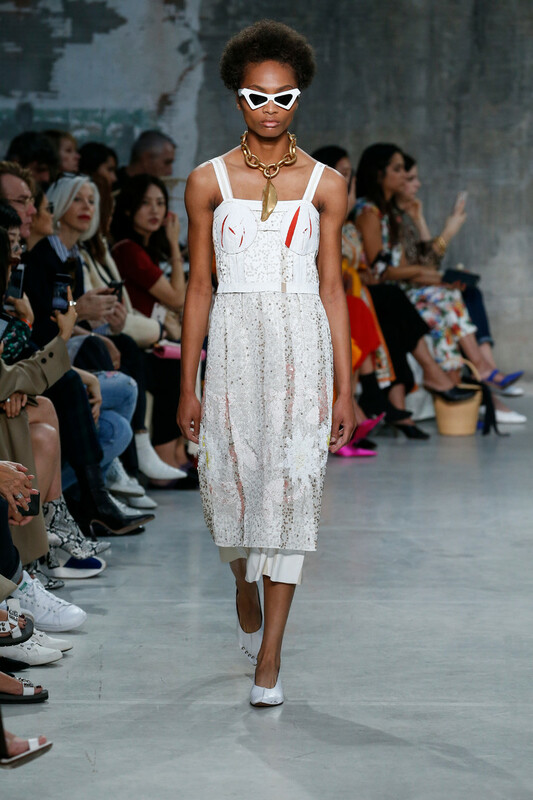 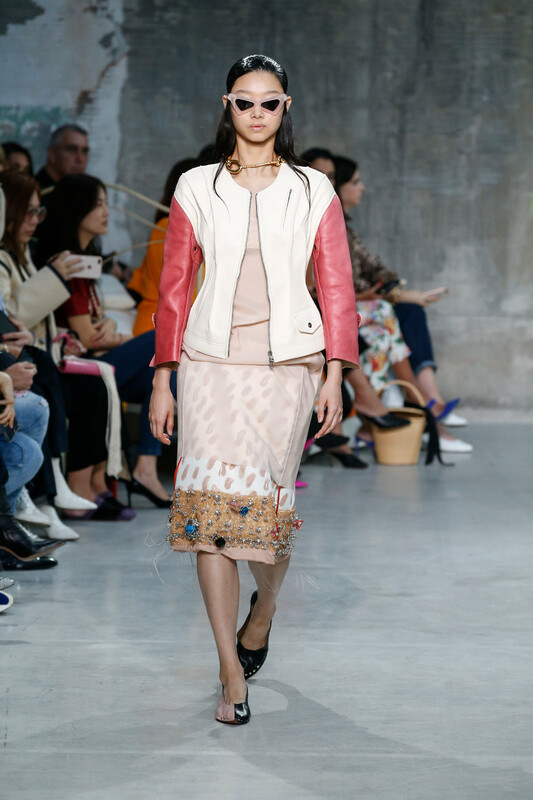 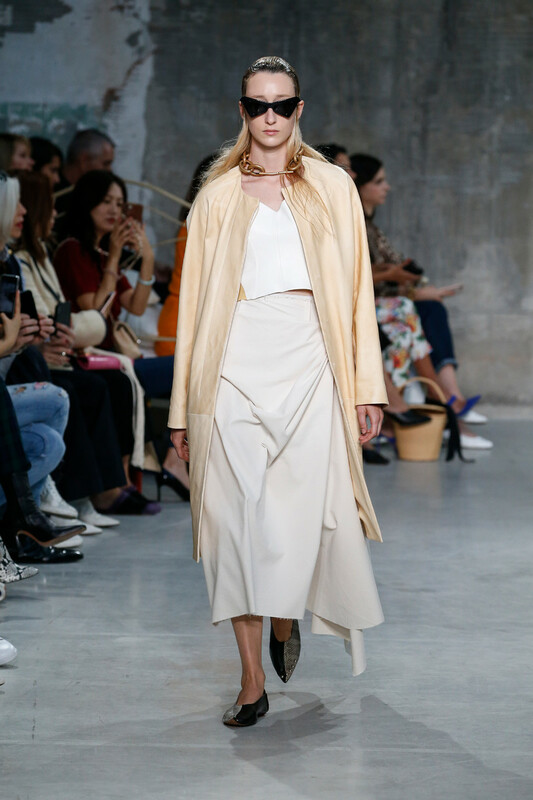 Perhaps some looks lacked the feel of effortlessness the fashion house is so popular for. 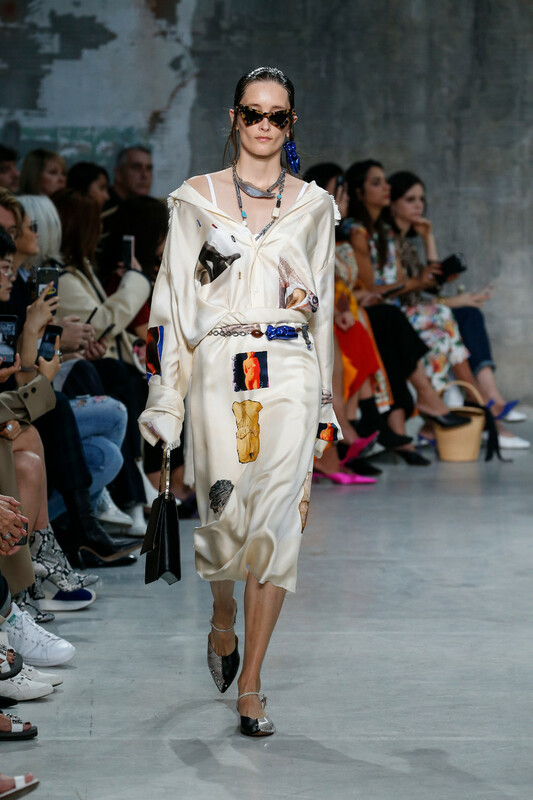 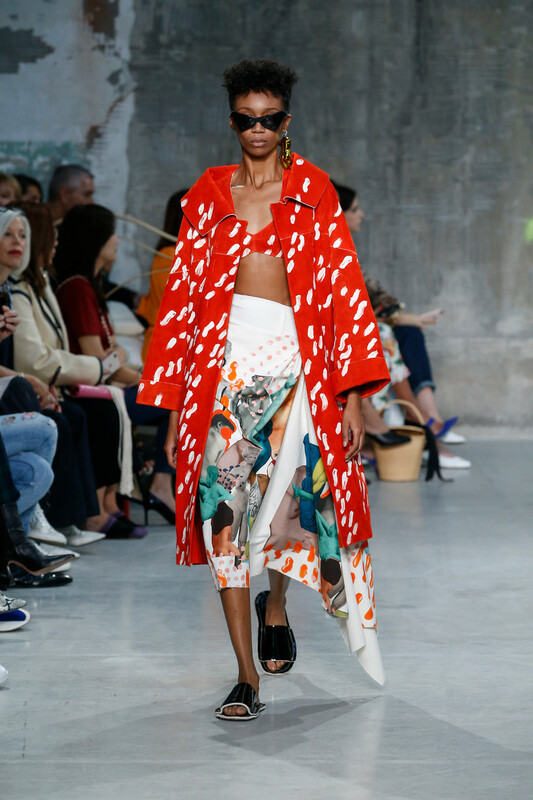 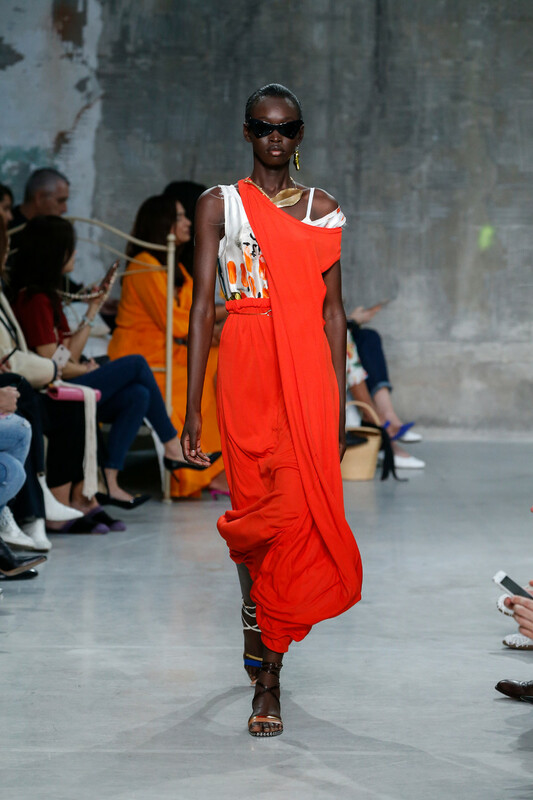 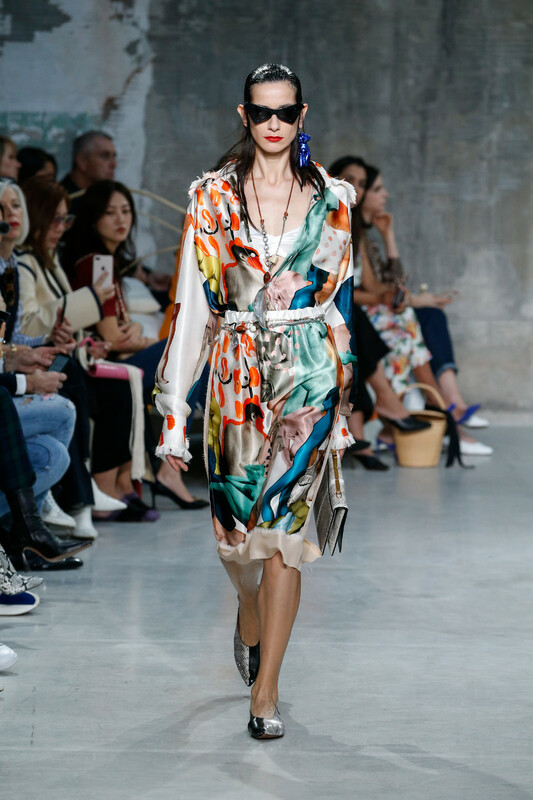 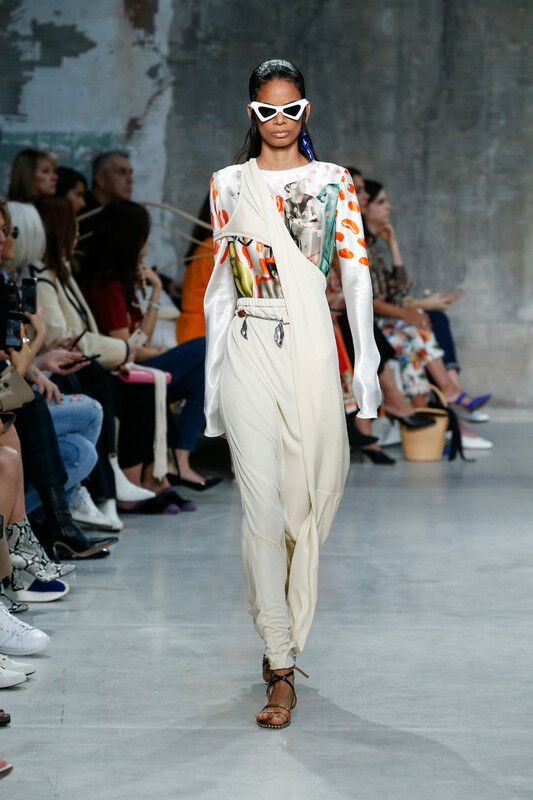 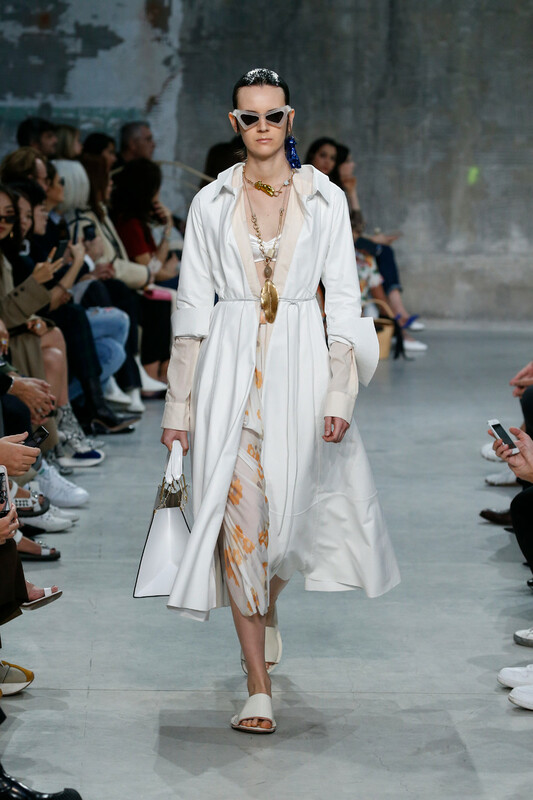 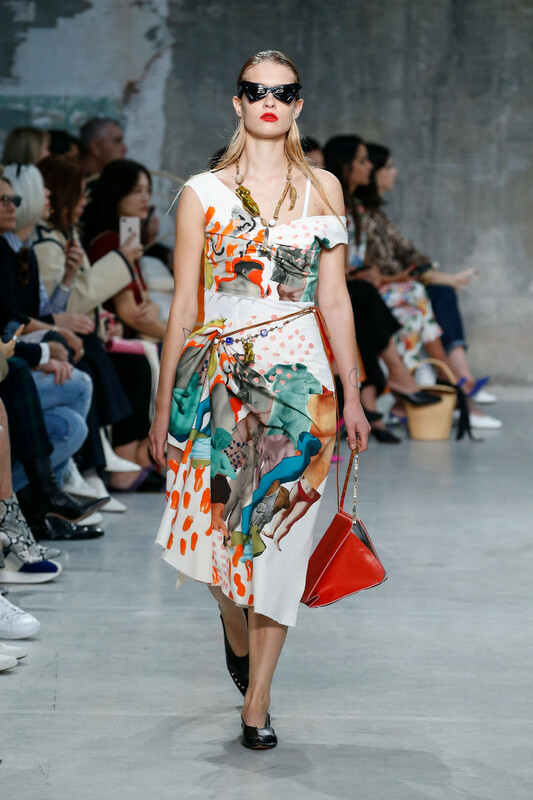 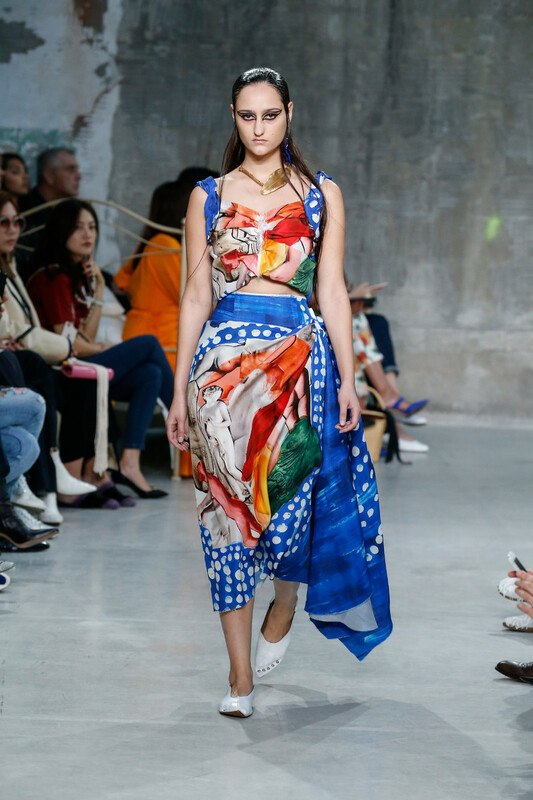 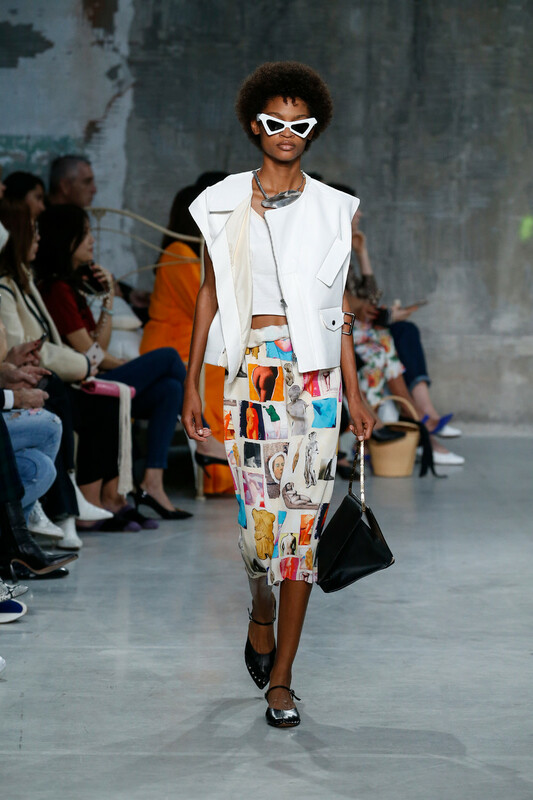 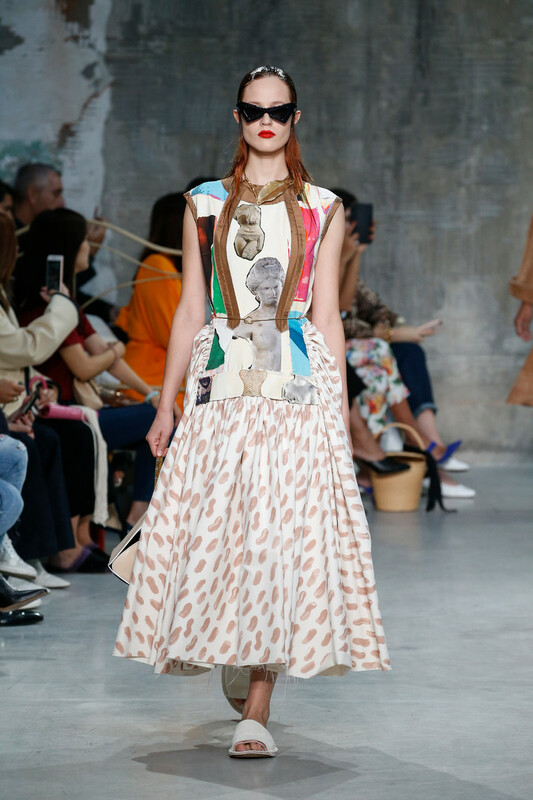 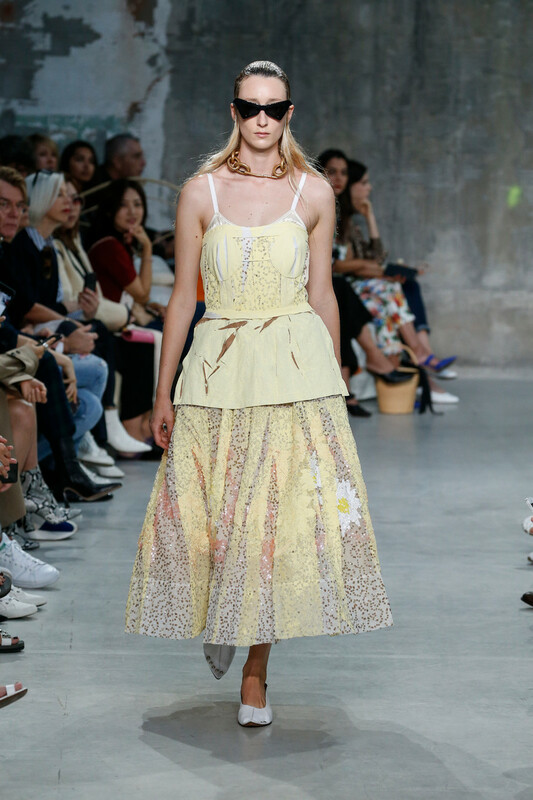 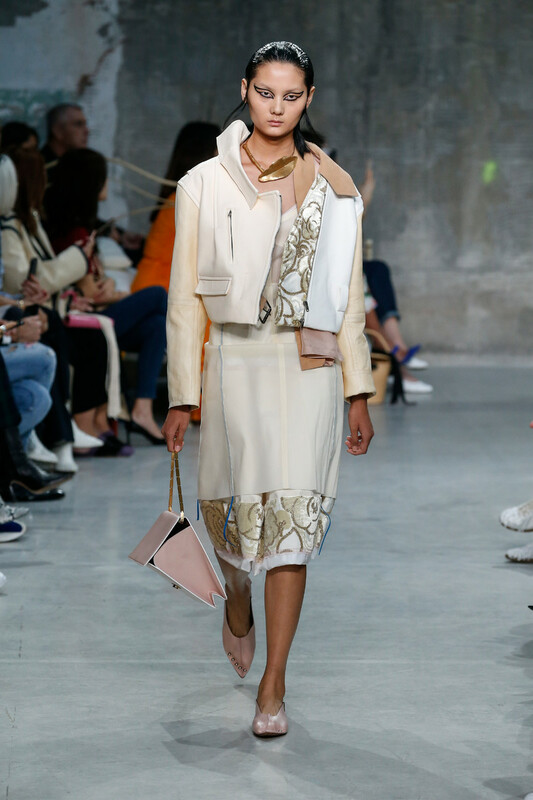 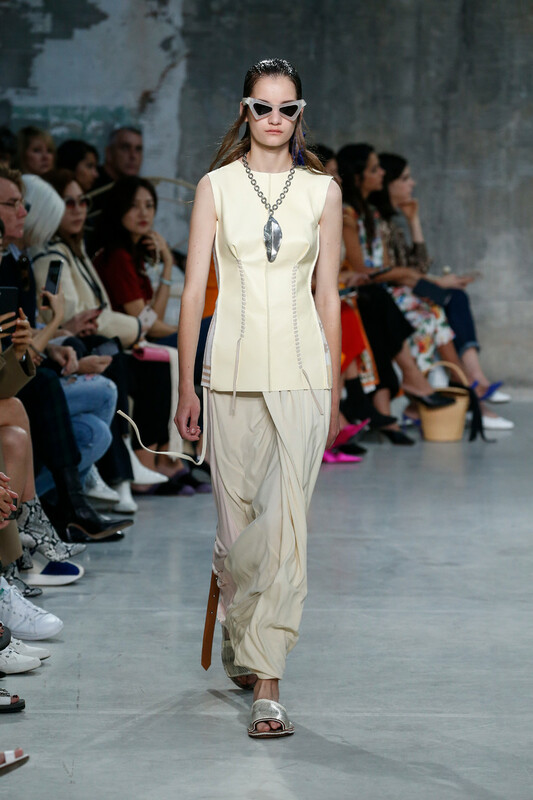 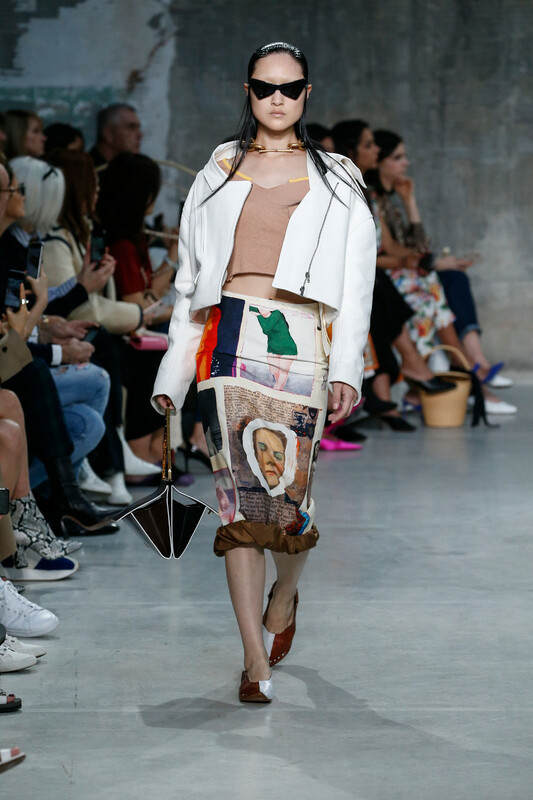 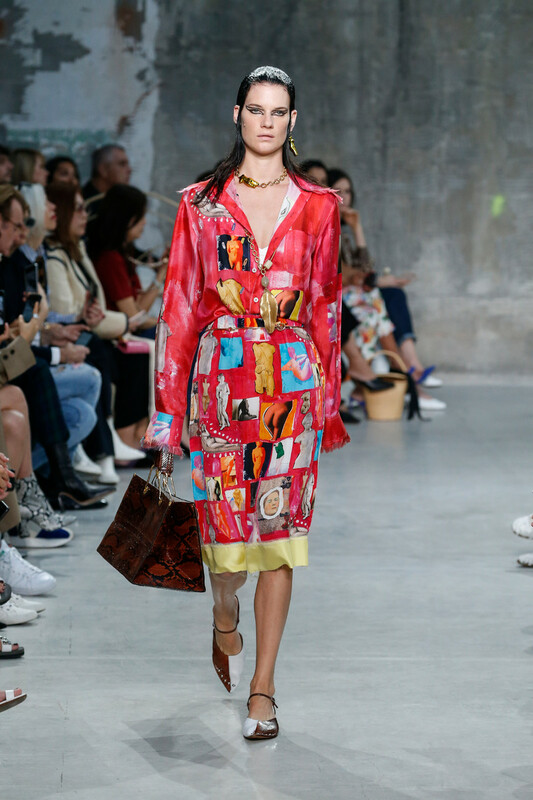 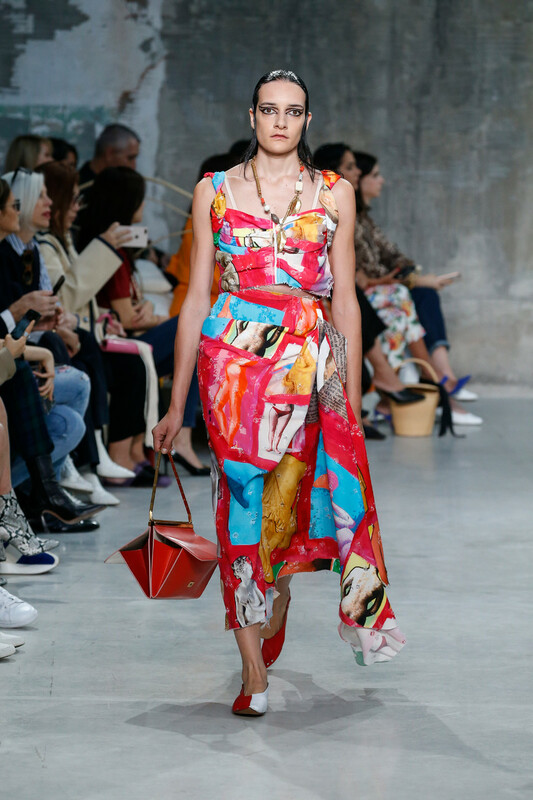 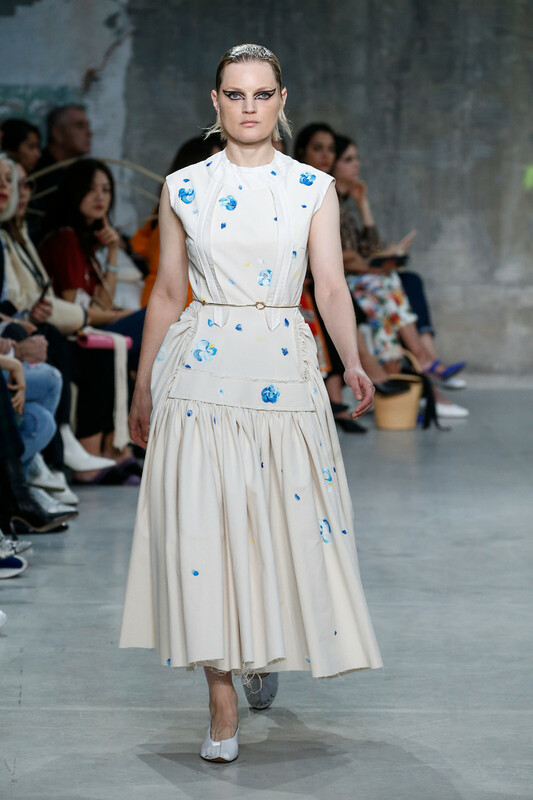 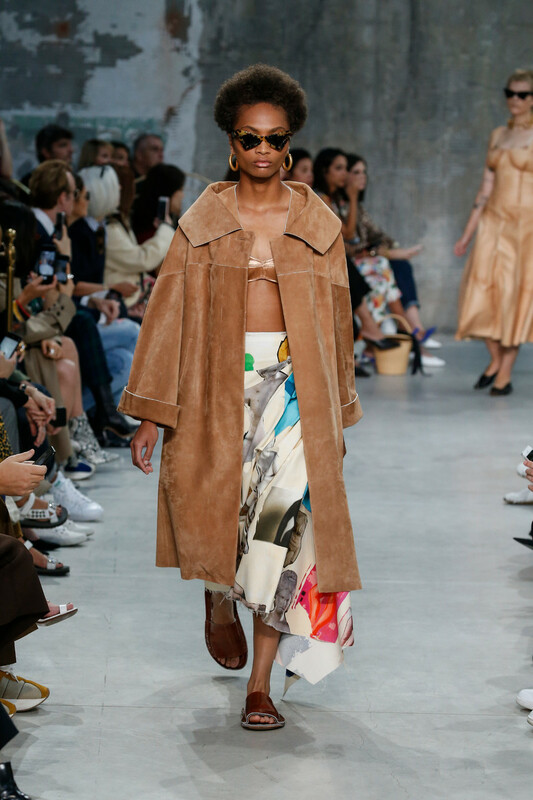 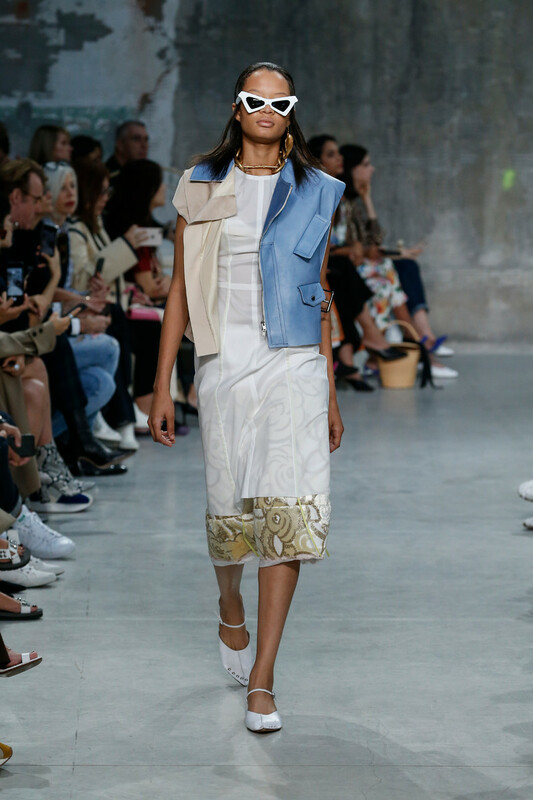 Yet all the Marni ingredients were there, plus an extra colorful dose of SS2019 inspiration.